Ultra rapid thyristorswitched automatic capacitor bank with detuned steps for transient free reactive power compensation of fast changing loads. The Thyristor Switched Control (TSC) systems is a dynamic compensation system which proves itself highly effective especially for the network suffering from fast changing loads. Voltage fluctuations as well as Flicker phenomena are consequences which arises from the operation of fast changing loads that too with a network having less short circuit power. 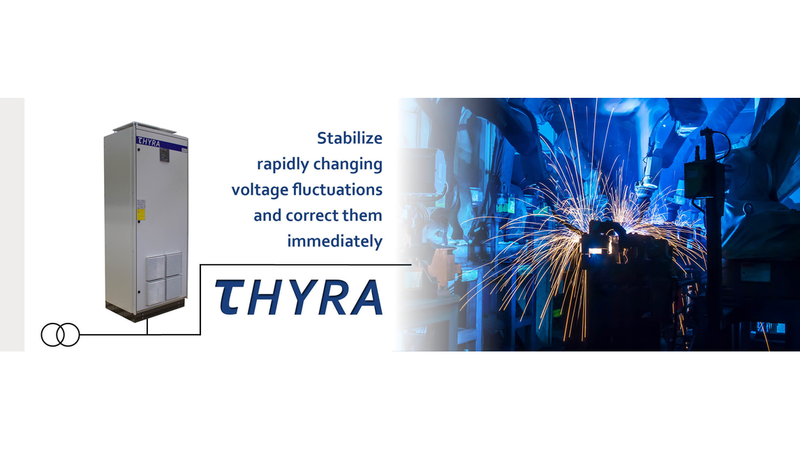 The THYRA can reduce voltage dips due to its response time in millisecond range and therefore guarantees the trouble-free operation in weak networks for consumers like welding machines, crane systems, hydraulic press, saw cutters, shredders. The TSC systems, therefore, achieves an economic utilization of load.